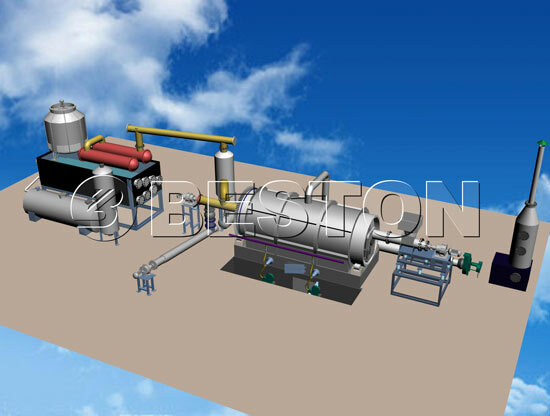 At present, Beston offers the small mini pyrolysis plant for sale as there is a trend of purchasing small typed pyrolysis plant in the domestic and international market. This plant is used to deal with a small number of waste tires, plastic, rubber, and oil sludge and convert them into fuel oil. 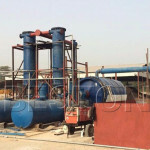 Compared with continuous pyrolysis plant, the small pyrolysis plant for sale in Beston doesn’t need the pre-treatment devices(such as crusher and dryer) and waste tire/plastic/rubber/oil sludge can be put into the pyrolysis reactor directly (but before that you need to make sure the waste tyre is smaller than 12 mm in diameter). 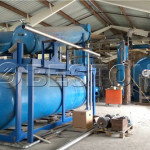 This plant also has the features of easy operation and less space. Different the large capacity of a continuous typed machine, the processing capacity of a mini pyrolysis machine is 6 ton per day. 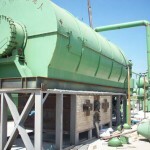 The plant is equipped with advanced safety devices, such as the small and stable stove door for the reactor, over temperature and pressure alarming, auto pressure releasing system, firefighting device, explosion-proofing and clogging-proofing device which can guarantee a 100% safe running of the pyrolysis process. Through the extra gas recycling system, the combustible gas that can not be condensed to oil can be recycled to heat the reactor back, which will save a lot of energy for the whole process. 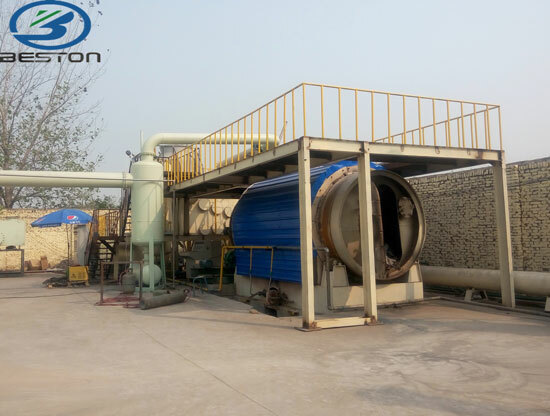 The small mini pyrolysis plant for sale in Beston is equipped with the latest dedusting system (including water spray, ceramic ring filter, activated carbon absorbing and washing chamber). After processed by this system, the hot smoke will be pollution-free and can be discharged into the air safely and directly. When the whole pyrolysis process is completed, you can get pyrolysis oil, carbon black, some combustible gas, steel wire(only for waste tires) or water and sand (only for oily sludge). They all have a wide range of applications in different fields. 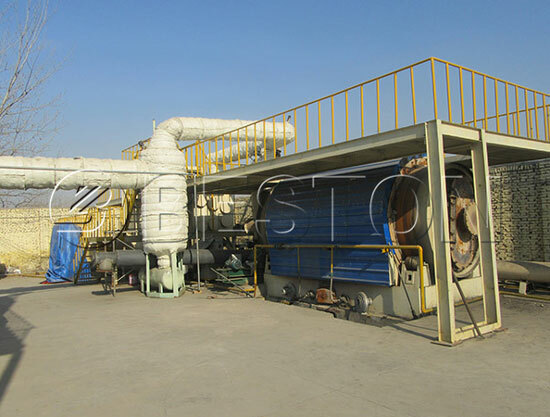 The pyrolysis oil can be widely used as industrial fuel materials for burning or further refined to diesel or gasoline by using waste oil distillation machine. The carbon black can be used for making construction bricks with clay or used as fuel. The combustible gas can be reused as fuel, which will save energy for the working process; Steel wire can be recycled into smelting plant. Water and sand can be recycled and reused as construction materials. Raw material Waste tires, plastics, rubber, oil sludge. 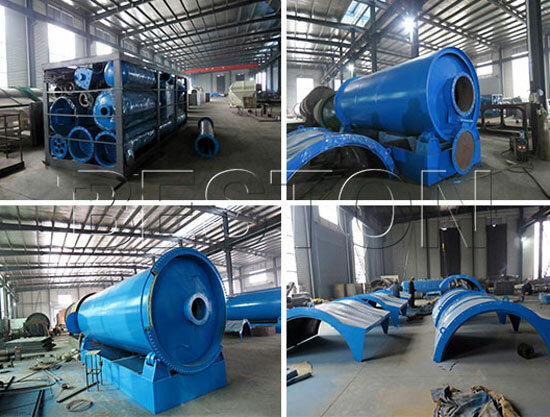 So far, Beston small pyrolysis machine is very popular on the market owing to the low cost, affordable price, handy operation and simple assembling. 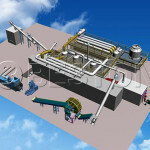 It is an ideal choice for those who want to dispose of a small amount of solid waste per day. For the buyers, it is also a profitable investment. 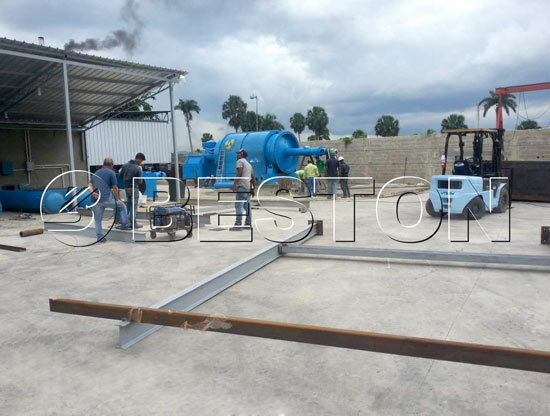 Therefore, this small-scale pyrolysis equipment has been exported to more than 20 countries by now, such as Nigeria, Indonesia, South Korea, Hungary, Dominica, Jordan, and Brazil, etc. Beston pyrolysis plants have won a good reputation among those customers. (1) Professional sales specialist and engineer will make a general business plan for the customers before purchasing. (2) Design the installation drawings according to the site of the customers after purchasing. (3) Specific maintenance programs according to different situation of the customer’s plant. (4) For each set of the machine, a team of technician and engineer will be sent to guide the assembling and commissioning as well as the training of the customer’s workers. (5) Periodical call visit, to make sure there are no problems with the equipment. (6) Besides, we will provide one month’s service for free after your purchasing. (7) 1-year quality warranty, engineers are available to service for 24 hours a day and 7 days a week. 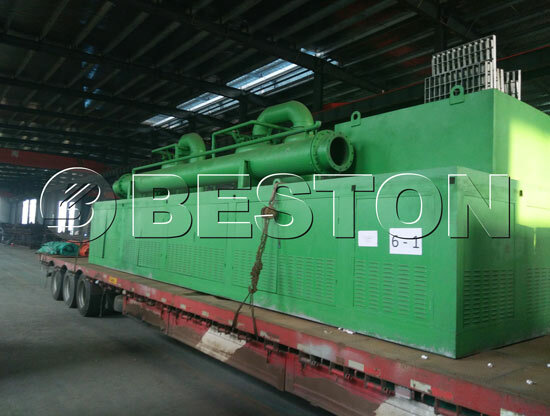 In a word, no matter the continuous type or the small mini pyrolysis plant for sale by Beston, their quality, safety and your profits from them are guaranteed. You can just choose whichever that meets your actual need and requirement. If you are interested in any other information about this machine, you are free to leave us your message here.